Have you got an Old Mutual International Executive Redemption Bond? Old Mutual International’s (OMI) range of executive bonds are marketed to non-UK tax resident investors who have no immediate plans to move to the UK, and to international or corporate investors. The bonds are often sold on the basis of their open-architecture, which means investors have wide investment choice. Another often talked about benefit is the fact these types of bond are a portfolio wrapper, into which you can transfer or consolidate existing investments. However, as we detail below, any alleged advantages available from OMI’s executive bonds are too often eroded by high and, in our opinion, deliberately opaque charges when purchased via a commission-based financial salesperson. It’s important to note there are two different types of executive bonds from OMI for non-UK residents, namely the Executive Investment Bond and the Executive Redemption Bond. This article looks in depth at the Executive Redemption Bond (ERB), which is a unit-linked capital redemption contract with a fixed 99-year term. The investment continues to the end of this 99-year term unless it is fully cashed in beforehand. A capital redemption contract is an investment contract between the insurance company, in this case Old Mutual International, and you, the customer. It’s distinguishable from other products offered by insurance companies like OMI by the fact that nobody is insured through the contract. A capital redemption contract is always fixed-term, because there is no insurance event (such as death) that would otherwise terminate the contract. The Executive Redemption Bond is also known as a portfolio bond, wrapper, offshore investment bond or packaged retail and insurance-based investment product (PRIIP). It’s an investment solution designed for those planning to invest for at least the medium-term, and ideally the long-term. It can be held individually, as a joint account, trust account, or corporate account, and is also freely assignable. Let’s take a closer look at Old Mutual International, and its Executive Redemption Bond. Who is Old Mutual International? Skandia International, including Royal Skandia, rebranded to Old Mutual International in 2014. With offices in the Isle of Man, Ireland, Guernsey and South Africa, Old Mutual International is a cross-border provider of wealth management and investment solutions. Its reach extends to delivering financial planning products to expatriates, international executive professionals, and local investors around the world - including Africa, Asia, Europe, Latin America and the Middle East. OMI is a preferred solutions provider for many international financial salespeople, because OMI generally pays commission for the sale of its products to them, as we discuss in depth below. Furthermore, it allows the salespeople a fairly free rein to tailor-make their own charging structures. The minimum initial investment in an Executive Redemption Bond from OMI is £50,000, and the minimum additional payment is £2,500. Note: you can choose to invest in different currencies including euro and US dollars. Old Mutual International says the ERB is ideal for those looking to invest a lump sum for at least the medium term, and ideally the long-term, with a suggestion of investing for at least 10 years, because otherwise early access penalties will undermine the value of your investment. You can also transfer in and consolidate other existing investment assets, and buy and sell assets or funds when it suits you. The bond is sold as a flexible wrapper, with advantages such as the fact that once it is set up, there is no extra paperwork (other than dealing instructions) required to change investments or add new ones to your ERB. Another perceived benefit is that it can be easier for your heirs and beneficiaries to manage your estate when you die if all your main investments are under a single bond. As stated, the term of the Executive Redemption Bond is 99 years from the contract start date, unless you encash it earlier. After 99 years, on the maturity date, assuming the bond hasn’t been encashed, the maturity benefit becomes payable. This is either twice the initial premium, (adjusted for any previous withdrawals), or the encashment value on the maturity date, whichever is higher. The bond can be terminated at any time by you, the investor, or automatically on the maturity date, or OMI can automatically surrender your policy if at any time your fund’s value falls below OMI’s minimum for maintaining the particular portfolio fund. OMI bases its risk projections for this project on an investor keeping it for at least 10 years, but the actual risk can vary significantly if you cash in at an early stage, and you may get back less than you invested because you may have to pay massive extra costs to cash in early. What’s more, you may have chosen to invest in assets that cannot be sold easily, or you may have to sell at a price that negatively impacts on how much you get back. So, whilst OMI is quick to promote the fact you can access your capital at any time, don’t forget there could be charges levied against a withdrawal, depending on the asset from which you’re withdrawing, and when you withdraw your money post-start date. Old Mutual International offers financial salespeople the flexibility to create their own charging structure. This means the fees and charges you pay for an Executive Redemption Bond will depend entirely on how much money your 'adviser' wants to earn from your investment. What you pay for your EIB, compared to what someone else pays for exactly the same product, can vary massively. 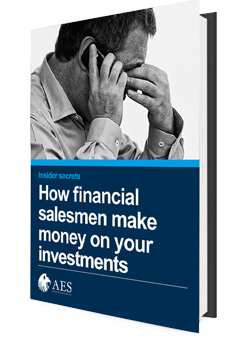 Helpfully, in their Key Information Document for financial advisers, OMI details the full range of costs that can be levied depending on the fee structure your salesperson signs you up to. The impact of the costs you pay when starting your investment. The impact of the costs of exiting your investment. The impact of the costs each year for managing your product. The impact of the performance fee. This is taken from your investment if the underlying investment option(s) outperform its benchmark(s). The actual costs you pay for your Executive Redemption Bond may differ from this generic outline, depending on the specific product charges applied, any ongoing charges your salesperson levies, and the underlying investment options selected. Suffice to say, the ERB is potentially ruinously expensive, without you even realising it when you sign up for one. Try searching for transparent charging information from OMI about what exactly you’ll pay, and you’ll come up short. But, the good news is, to add to the above, we’ve managed to acquire a range of charging sheets, and review them for you. 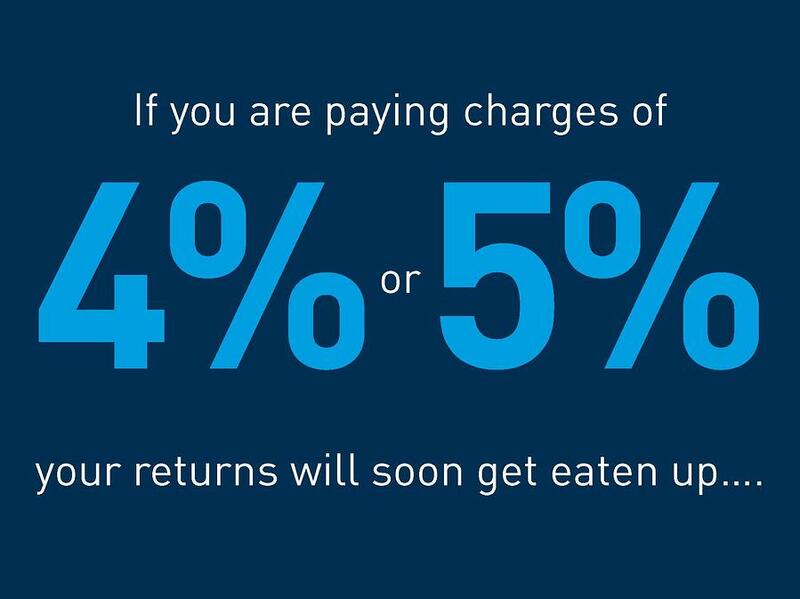 Remember however, you may be paying more or less than the following examples illustrate, and the only way to know exactly what you’re paying and what the impact of those fees is on your underlying investments, is to request a free, no obligation X-Ray Review™ of your portfolio. The X-Ray Review™ process will determine the fee structure you’re committed to, and explain to you how exactly your charges are calculated…and more importantly, what that means in terms of the money you lose each quarter, each year and for the duration of your bond. It’s quicker and easier than getting a PhD in forensic finance, which is about the only other way you’ll be able to determine what you’re paying! 9.40% in the first quarter, reducing by 0.29375% per quarter to 0% after 8 years. 9.50% in the first quarter, reducing by 0.2375% per quarter to 0% after 10 years. I understand and accept that other charges may apply to my account. These charges may be made by third parties, for example an annual management charge on a selected fund or by Old Mutual International for additional services I request. To sum up, if you purchase your Executive Redemption Bond from a financial salesperson who takes commission, you will be paying a very high price to invest your lump sum. It’s entirely possible the fees you pay will outstrip any gains you make. If you top up, change your underlying investments, or access your capital within the early years, the real cost of your bond will increase. 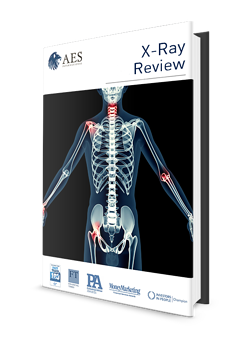 To understand what these amount to in real financial terms annually, and the impact they’re having on your portfolio’s performance, we strongly recommend you take advantage of a free X-Ray Review™. It details everything you need to know – it’s quicker than getting a PhD in maths, which is about the only other way you’ll be able to decipher your fees! Can be set up as a single policy or cluster of policies. As an Old Mutual International customer. you're protected under the Isle of Man Life Assurance (Compensation of Policyholders) Regulations 1991. The scheme offers protection for plans issued by Isle of Man authorised companies, wherever in the world you reside; and compensation for clients of up to 90% of their investment value less any applicable charges if OMI becomes insolvent and unable to pay out. What these key features fail to highlight are the high fees, the hidden charges and the fact you may have to pay tax, either on the growth of the investment or when money is paid out, depending on the tax rules in the country where you reside. What’s more, the ability to defer tax may not even be a benefit to you, if you live in a low or no tax jurisdiction like Dubai for example. In other words, don’t be over-sold on the benefits, without weighing them against the main disadvantages of high cost and lack of flexibility in terms of accessing your capital in the early years without significant financial penalty. In some cases, international executives are encouraged to use the ERD within a QROPS or SIPP. It’s critical to note that there will be additional set-up charges and ongoing fees levied for the life of the policy - in addition to all of those discussed and detailed above. This would make the Executive Redemption Bond even more expensive in real terms, thus highly likely to undermine the QROPS or SIPP. For that reason, if you have an ERB wrapped within your pension, take advantage of our free X-Ray Review™ to uncover exactly how much you’re paying, and where you can make significant savings for the long-term benefit of your wealth. In conclusion, should you start, keep or encash an Old Mutual International Executive Redemption Bond? However, as the dictionary definition of discerning is “having or showing good judgement” how can anyone exercise good judgment when they are neither explicitly told the fees and charges they will pay, nor the fact that other investors may be paying far less (or more!) for exactly the same product? As you are a discerning investor, given the uncovering of the foregoing otherwise hidden and complex fee information, we understand that if you already have an ERB you will want to know exactly how much you’ve paid and are paying on an ongoing basis. Therefore, please take advantage of our free, no obligation X-Ray Review™ service today, so that you have all the transparent information you need to make a decision about the best way forwards for your money. If you’ve been recommended to invest a lump sum with OMI, and you’re now having second thoughts based on the above, we’d like to offer you the opportunity to have a free, no obligation conversation with one of our chartered financial planners, who will be able to give you the benefit of their expert opinion about the best way forwards for you. This guide aims to provide general information on the financial product set out above. It is not intended as personal advice but as a short and simplified summary of a complex subject, and so please do not make any decisions based solely on the contents of this guide in isolation. Whether or not a particular investment is appropriate for you will depend on many factors, including your individual needs, circumstances, approach to risk, and capacity for loss. For a personalised analysis of your OMI Executive Redemption Bond request a free portfolio X-Ray Review™ - it will highlight if you can cut costs, improve your returns and how to make the very most of your savings and investments. It's free and no obligation.